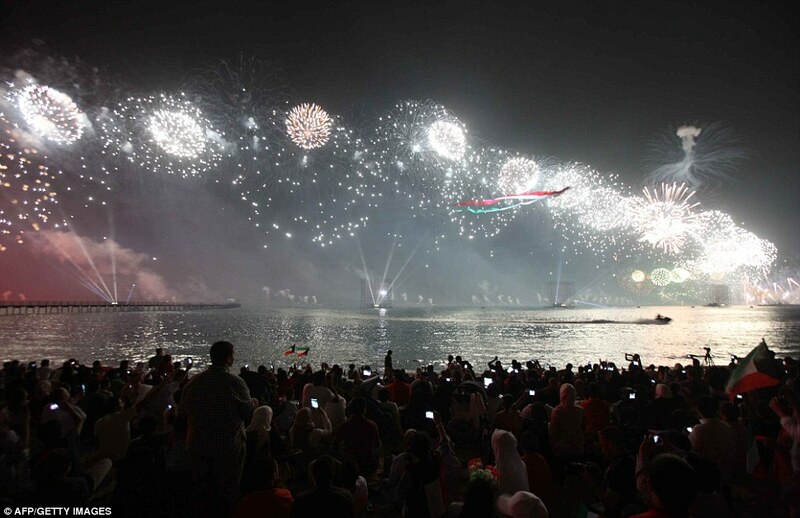 Kuwait celebrated the golden jubilee anniversary on November 11 2012. The celebration was a bit over the top, but it was superbly done and well thought out. The celebration consisted of a fireworks display that broke several world records, including the world's largest fireworks display. The fireworks cost the paltry sum of approximately 4 million Kuwaiti Dinars (sarcasm). 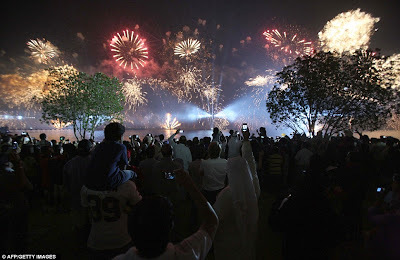 More than seventy thousand fireworks were used and the company Filmmaster MEA was responsible for setting up the show. As a country that prides itself as being a pioneer in establishing a form of democracy in the region, Kuwait saw the golden jubilee as an ideal opportunity to show the world how important the constitution is to the country with thousands upon thousands attending the celebration along the coast. The celebration also came in at a vital time where unity was required in order to overcome the recent political turmoil.